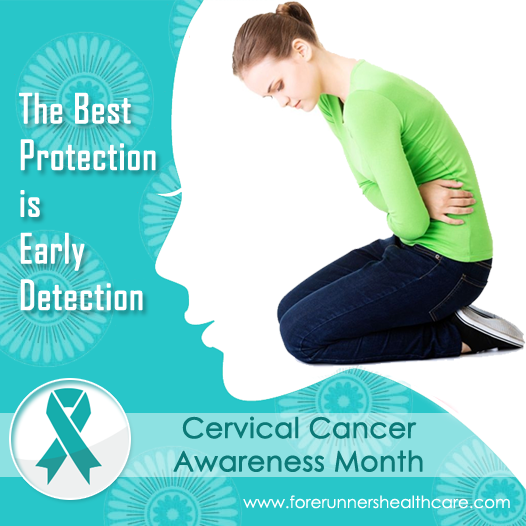 Cervical cancer when found in its early stages can be successfully treated. The choice of treatment and the long term outcome of cervical cancer depends on the type and stage of cancer. Your overall health, age, desire to be able to have children and quality of life must also be considered. Surgery - The type of surgery to remove the cancer will depend on the location and the extent of cervical cancer and whether you want to have children. Chemoradiation - A chemoradiation is a combination of chemotherapy and radiation and often it is used to treat both the early stage and late stage cervical cancer. Radiation Therapy - A radiation therapy uses high dose of X-rays or implants in the vaginal cavity for killing the cancer cells. This is used for certain stages of cervical cancer and often used in combination with surgery. Chemotherapy - A chemotherapy uses medicines for killing the cancer cells and it may be used for treating advanced cervical cancer. Cervical cancer treatment during pregnancy is same as for non-pregnancy women. But the treatment will depend on the stage of cancer and what trimester you are in. The treatment may cause problems such as an early delivery or even the loss of the baby. You may feel scared or angry or very calm. It’s normal to experience a wide range of feelings and these would change quickly. Some of you may find that it helps to talk about your feelings with your family and friends. If you find your emotional reactions to cancer are getting in way of your ability to make decisions about your health, then you should talk with your doctor. The Affordable Cervical Cancer Treatment in India will offer psychological or financial support. It is important to receive a follow-up care. Your oncologist or a gynecologic oncologist will schedule regular checkups which include- a pelvic exam and pap test every 3 to 6 months for the first two years. A pelvic exam and a pap test will be required every six months for another three to five years and then every year. Your oncologist will recommend follow up tests which include an abdominal and pelvic computed tomography scan to see if the cancer has spread to other organs in the belly or pelvis. The cervical cancer can recur after treatment and this will depend on the stage of the initial cancer. Cancer which is found early is less likely to return than which is found at a later stage. The long term outcome for recurrent cervical cancer depends on how much the cancer has spread when the recurrence has been diagnosed. The treatments include surgery, chemoradiation or chemotherapy for relieving the symptoms. You can talk with your doctor about the treatments of cervical cancer. A palliative care is a kind of care for people with serious illness and it’s different from care to cure your illness. The goal is to improve your quality of life not just for your body but also your mind and spirit. You can avail to this care along with the treatment to cure illness. Palliative care provider work to help your control the pain or the side effects and this will help you decide which treatment you want and which you don’t want. This will help your loved one to understand how to support you during this difficult time. For people having advanced cancer, a time comes when the treatment to cure the cancer will no longer seem a good choice. This is because the side effects, cost and time for treatments are greater than the promise of relief or cure. But you can still get treatment which makes you comfortable. Contact Forerunners Healthcare for cervical cancer treatment in India at low price. Good Post. The hospital strictly follows latest international cancer treatment protocols for best results.